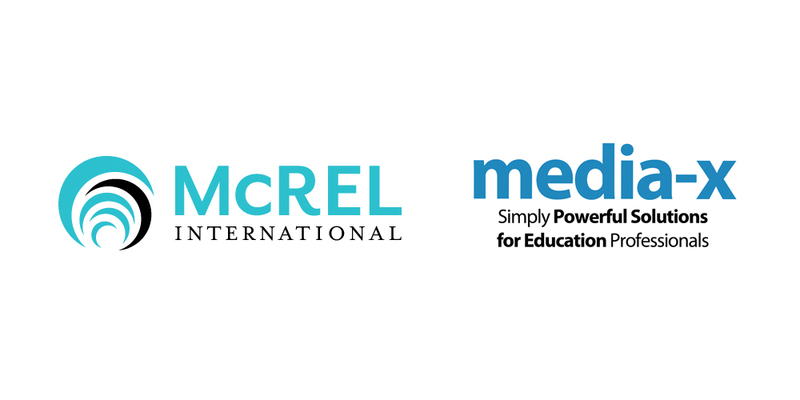 DENVER—McREL International and Media-X Systems, Inc. are pleased to announce EmpowerED Suite™, a new suite of web-based tools for teachers, teacher mentors, instructional coaches, and school leaders to improve classroom practices. The EmpowerED Suite will be formally introduced at the 2015 ASCD national conference, beginning Saturday, March 21 in Houston, Texas, with demonstrations and information available at the two organizations’ exhibit booths (McREL booth #778, Media-X booth # 874). Built on a foundation of McREL’s successful classroom walkthrough guidance and the research-based strategies of their best-selling book, Classroom Instruction That Works, the EmpowerED Suite is designed to help teachers, coaches, and school leaders have rich, collaborative conversations about instructional strategies and professional practices in the classroom. The suite helps an entire school staff build a shared language and focus for improving instruction and developing skills in a collaborative, profession-respecting manner. The Power Walkthrough software helps school leaders gather classroom data to inform practice and professional development needs. This simple-to-use app can be installed on a variety of smartphones, tablets, and laptops, allowing for a quick way to gather valuable data on instructional strategies being used in classrooms. After examining the detailed reports that the software generates, teachers and school leaders can work together to determine professional development needs and create SMART goals and action plans. The Go2.MX online survey tool can be used to develop quick surveys to communicate with and gather feedback from teachers, parents, students, and other school community members. Go2.MX will automatically generate a short URL web link and a QR code, allowing for easy distribution of the survey via e-mail or print copy to the targeted audience. Survey results are compiled into reports that are easy to read and share. The self-reflection app helps teachers self-reflect on their practices, providing information teachers can use to develop SMART goals and track their professional growth. The Coaching tool gives instructional coaches and teacher mentors protocols and tools for engaging in professional dialogue with teachers, using the data from the lesson observation template. This application gives coaches the ability to collect and track data to assist in teacher’s professional growth. The iCoach mobile app allows teachers and admin users to record classroom videos for self-reflection and/or growth, or to share with walkthrough subjects, peers or supervisors for formative feedback on lesson delivery. Using any digital camera or smartphone camera, teachers can record and upload videos to a private and secure iCoach account. Teachers have complete control over their video sharing, sending invitations to specific colleagues, coaches, or supervisors to watch the videos and provide formative feedback that is automatically time-coded to particular sections of the video. After receiving feedback, teachers can click on a comment and snap exactly to the point in the video where the comment was made. Teachers can use the feedback from colleagues to enhance their teaching. Demonstrations of the EmpowerED Suite and additional information on licensing are available through Media-X Systems by e-mailing sales@media-x.com or calling 1-888-722-9990.